Today was Day #5 of Chocolate and Lavender Theme Week. I later learned of other varieties being grown in cooler areas. This purple flower can grow in the U.K. (Lavanda angustifolia, or English Lavender), and in the United States in cool mountainous areas of the Northwest. 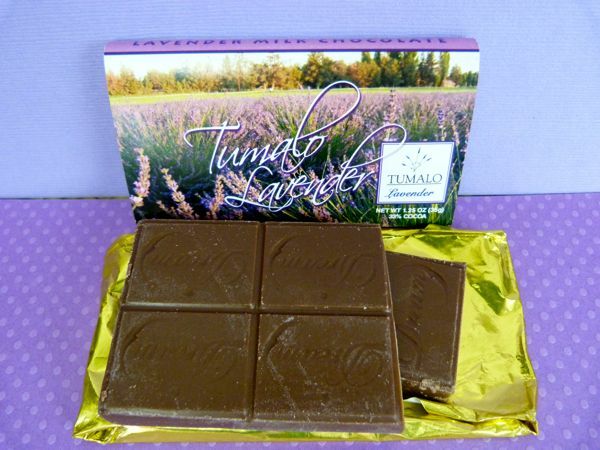 Tumalo Farms (Tumalo, OR) near the town of Bend, Oregon, has cultivated (and sells) lavender that can grow near the slopes of the Cascade Mountains (Zone 5), where it snows in the winter. 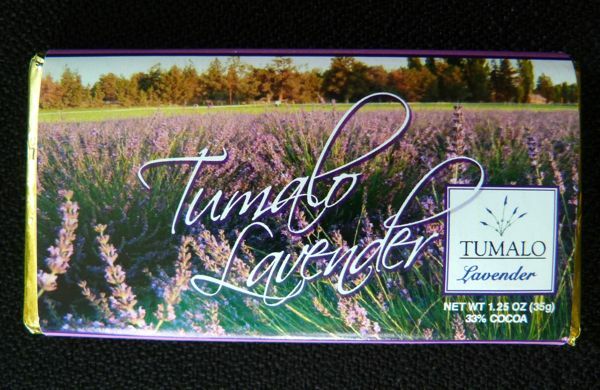 Tumalo Farms organic lavender oil is incorporated into many of the company's offerings. Today's Tumalo Farms Lavender Milk Chocolate bar (a seasonal item) was very pleasantly scented with this oil. In fact, I think my favorite part of this 33% cocoa milk chocolate bar was the lavender. Thank you to Gordon, at Tumalo, for sending one of the few bars left from this past year's summer harvest. 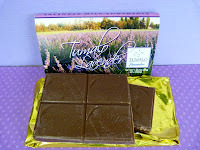 I'll have to wait try the dark chocolate version of this bar until next year; but I look forward to featuring Tumalo lavender jelly (in combination with chocolate) tomorrow.